Current Indicators use acoustic transceivers, transducers, and visual displays to determine the heading and speed of tidal currents below the surface of the ocean. 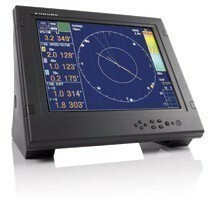 Current Indicators typically use a Doppler Sonar measurement to process and analyze tidal heading and speed at depth. Given the potential for enormous differentials between surface, pelagic, and semi pelagic tidal energy - the current indicator is an indispensable piece of marine electronics on a modern fishing vessel, research vessel, or yacht using submersible accessories.